Home / Unlabelled / WHAT IS THE MINIMUM AMOUNT OF MAHR? 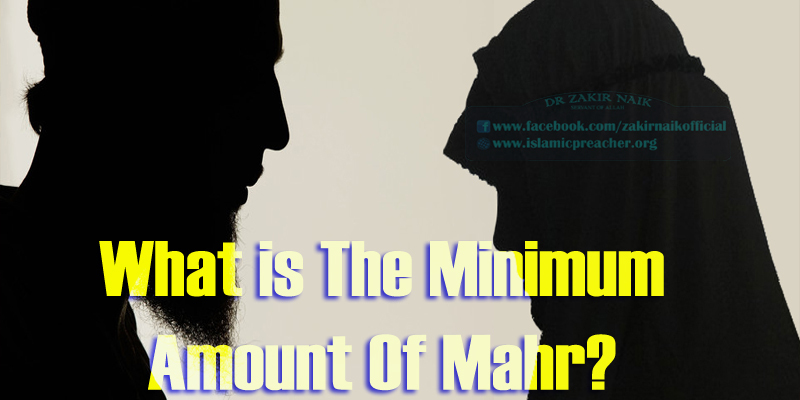 WHAT IS THE MINIMUM AMOUNT OF MAHR? This hadeeth shows that it is permissible for the mahr to be a little or a lot of whatever is considered to be wealth, if both partners agree, because an iron ring is extremely little. This is the madhhab of al-Shaafa’i and is also the view of the majority of scholars among the earlier and later generations. This was also the view of Rabee’ah, Abu’l-Zinaad, Ibn Abi Dhi’b, Yahyaa ibn Sa’eed, al-Layth ibn Sa’d, al-Thawri, al-Oozaa’i, Muslim ibn Khaalid, Ibn Abi Laylaa, Dawood, the fuqahaa’ of the scholars of hadeeth and Ibn Wahb among the companions of Maalik. It was also the view of all the scholars of the Hijaaz, Basrah, Kufa and Syria, and others, that whatever the couple agree upon is permissible (as a dowry), whether it is a lot or a little, such as a whip, a pair of shoes or an iron ring, etc. Based on this, the weight of a dirham in grams is 2.975 grams. So the mahr of the wives of the Prophet (peace and blessings of Allaah be upon him) was 500 x 2.975 = 1487.5 grams of silver. One can calculate the amount that this sums up to to find its value in current times..